DUMAGUETE CITY, Aug. 30 (PIA) — The Department of Environment and Natural Resources (DENR) has allocated P79,323,000 for the construction of mechanized nursery facility for seedlings in Negros Oriental to boost the National Greening Program (NGP). Provincial Environment and Natural Resources Officer (PENRO) Oscar Magallones said the mechanized nursery intends to target 40 million seedling capacity in a 10-hectare lot at Barangay Banban in Ayungon town. Magallones said only five pilot areas in the country have this kind of nursery which include National Capital Region, Region 5, Region 13, DENR-Central Office, and Negros Oriental in Region 7. Of the areas identified, Negros Oriental has the biggest seedling capacity area. CENRO in Ayungon was cited as a model site of NGP as its people’s organizations also earn its livelihood under the NGP, said Magallones. The environmental department has targeted to complete the construction of the nursery including the greenhouse, road improvements, among others, for seedling production this year. Magallanes said the mechanized nursery will produce high quality forest tree seedlings which include indigenous tree species, fruit bearing trees such as coffee and cacao for planting materials. According to the Magallones, the nursery can supply seedlings to other neighboring regions and its provinces by 2014. By virtue of Executive Order No. 26, signed by His Excellency Benigno Aquino III, a massive forest rehabilitation program for the country has been implemented under the NGP. NGP aims to reforest 1.5 million hectares of denuded land in the country by planting 1.5 billion trees from 2011 to 2016. DUMAGUETE CITY, July 20 (PIA) – Members of the Association of Negros Oriental Public Information Officers (Anopio) had a briefing on disaster risk reduction management under Office of Civil Defense (OCD) Negros Oriental Head Allen Cabaron on July 18 at the PIA-NegOr provincial Information Center. “Disaster is a reflection of people’s vulnerability,” Cabaron told the members of Anopio. Cabaron presented to them the framework of a Disaster Risk Reduction Management Plan (DRRMP) that included four components which are disaster prevention, preparedness, rehabilitation and recovery. “Disasters will only happen if hazards and vulnerabilities meet. It could be mitigated if the local government has the exact capabilities,” Cabaron said. Cabaron noted that the government cannot do anything with the hazards brought by natural calamities but it can manage the vulnerabilities by crafting a concrete DRRMP. In crafting the DRRMP, there should be a participatory planning. It is a bottom-up planning approach which involves the community especially the barangay level up to the local government unit (LGU) in coming up with disaster preparedness measures. 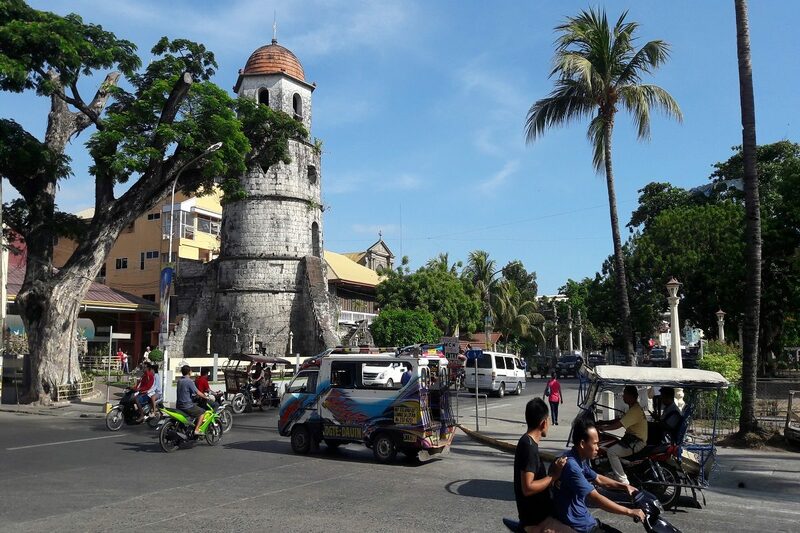 The head of the OCD in Negros Oriental said, barangay resident and officials should participate in the planning process since it is them who can identify the risks post by natural calamities in their area. He also clarified that it is the barangay officials who are the first responders in times of disasters. The LGU comes in as support to the barangay. Aside from this, Cabaron asks the municipal and provincial information officers, to help in explaining the disaster preparedness programs of the government to their constituents. “Preparedness is about conducting information campaign, training and equipping the community with knowledge and skills when it comes to disaster response,” Cabaron said. Also part of DRRM plan is the establishment of Operation Centers during times of Disaster. In Negros Oriental, the towns of Siaton, Bayawan, Dumaguete City and the provincial government that have already established their respective operation centers. Meanwhile, Cabaron also emphasized that having a DRRMP is essential in keeping the development of a town or city. “There is a direct link between disaster and development,” Cabaron stressed. He encouraged municipal information officers to urge their local chief executives to balance development projects with disaster risk reduction management measures. 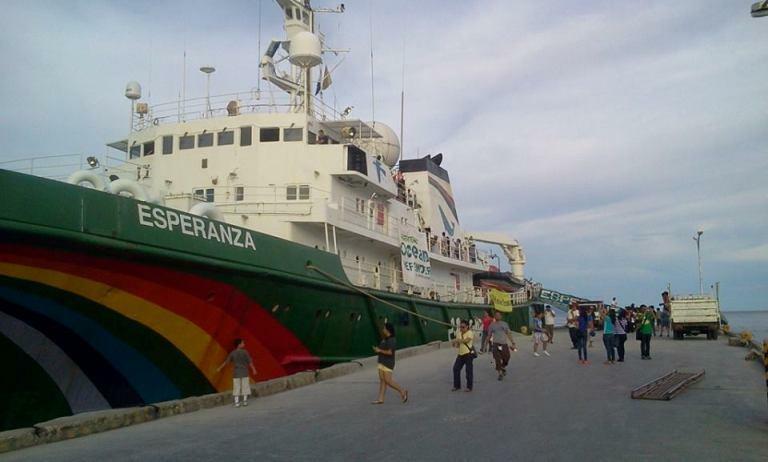 Greenpeace ship MY Esperanza docked at the Dumaguete Port. Negrenses were given a free tour on the Greenpeace ship MY Esperanza on its six-day vist to Negros Oriental. Greenpeace went to Negros Oriental for its first stop in the Philippine leg of their Ocean Defender Tour. The Ocean Defender Tour is a campaign against marine degradation. The famous environmental group encourages everyone to take part in the conservation and protection efforts to the country’s aquatic resources.